Thomas was the second of 4 children born to parents Albert and Annie Elizabeth Pashley, nee Rowe. Albert and Annie were married in 1887 in Kent. Edith Florence – born in 1889, Margate, Kent. Unable to confirm any other records. Emma Constance – born 3rd April 1892, Southampton. She married Norman H Taplin in 1925. At the age of 90 years she passed away in 1982. Dorothy Madeline – born 24th June 1896, Southampton. She married Eric John Attwater in 1925. Dorothy passed away on 14th January 1984 aged 87 years. In the 1891 census the family lived at 34 Onslow Road in the parish of St. Mary’s. Albert was a Grocer, marking the census as neither employer or employed, probably meaning that it was his own business which was confirmed on future census returns. Still living in Onslow Road in 1901, they are now at number 27. Albert was still a Grocer which he states was his own account and his work place was also his home. All the children were still living at home in 1911 and at 27 Onslow Road. Albert was still running his Grocer’s business. Emma was employed as a Milliner; Thomas was working as a Shipping Clerk and Emma worked in a Draper’s business as a Cashier. Education and Employment: Thomas was born on 3rd December 1890 in Southampton. He was educated in the town and after leaving school, Thomas worked as a clerk for a shipping company. Life during the War: Thomas lived on Onslow Road in Southampton. He was first assigned to the Worcestershire Regiment when he enlisted. He served as a Private with the 2nd Garrison Battalion of the Oxford and Bucks Light Infantry. He had been in France for three weeks when he caught pneumonia and died. 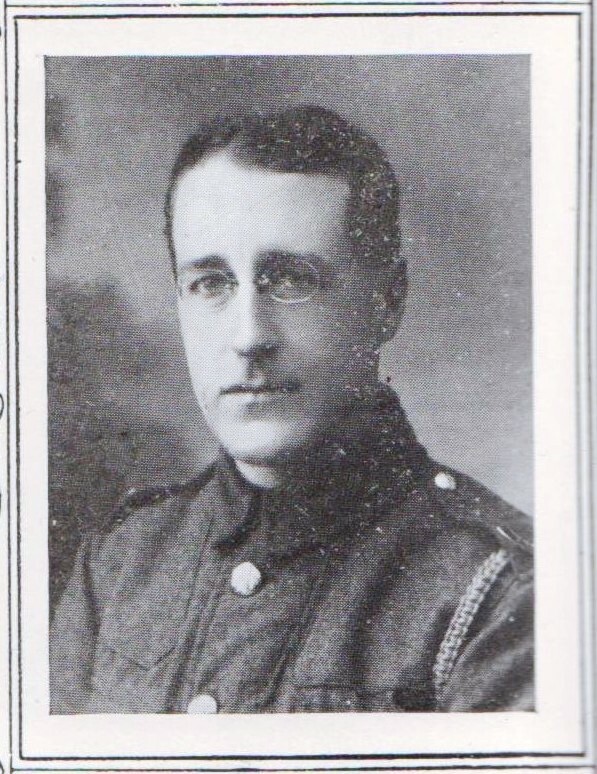 Thomas died on 12th June 1917 aged 26 years. As his sole beneficiary, Thomas’s father received outstanding pay and credits. The first was on the 17th February 1918 when Albert received £3 6s 1d, then a War Gratuity of £5 on 28th October 1919.